Hi everyone! Sandy here with this week's winners at The Paper Players. Thanks to everyone who played along with my sketch challenge this week. We had a wonderful time visiting all your blogs and looking at your lovely creations. 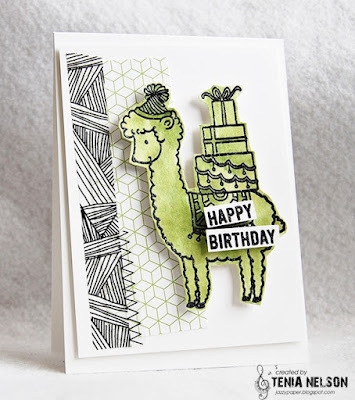 Tenia's fun birthday llama made me smile! I love the watercolor wash and mix of patterns, and the monochromatic scheme and white space keeps things clean and simple. The little bit of stitched washi tape is also super cool! Congrats Tenia, you are my headliner this week! Yay - thanks Anne Marie for selecting my snowflake card! 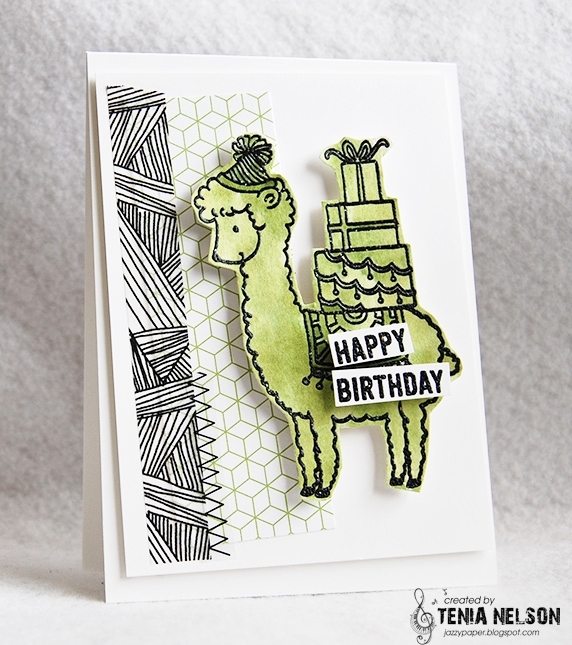 Congratulations to Tenia for the super-cute winning card, and to all of the other creators that were selected. Yay Tenia...you rock lady! And congratulations to all of the winners! Congrats to all of the winners and thanks so much for the shoutout! Yay! !